Chemical Abstracts Service (CAS), a division of the American Chemical Society, is the world’s authority for chemical information and related solutions. CAS team of highly trained scientists finds, collects and organizes all publicly disclosed substance information, creating the world’s most valuable collection of content that is vital to innovation worldwide. Scientific researchers and patent professionals around the world rely on a suite of research solutions from CAS that enable discovery and facilitate workflows. STN® is for search tool for professionals who trust the quality content and advanced search functionality at patent offices and IP professionals worldwide, STN is the premier single source for the world’s disclosed scientific and technical research. The STN family of products combines industry-leading search and retrieval with unique and comprehensive content of 200 databases. The Association for Computing Machinery (ACM) is the world’s oldest scientific computing society, and publisher of computing’s most respected research publications. The ACM Digital Library (https://dl.acm.org) contains more than 430,000 articles in all areas of computing, a comprehensive bibliometric index for the entire field of computing research, and unique and powerful tools for personalization and collaboration. The Ubiquity Partner Network supports Library Publishing Programmes and University Presses by providing a full range of publishing infrastructure and services. The platform has been built specifically for Open Access and to be highly cost-efficient, supporting many different business models. It currently hosts and publishes over 300 journals and hundreds of books for all of the partner presses, including Ubiquity Press. Come and speak with us during the conference to find out more! Figshare is an online digital repository where researchers can preserve and share their research outputs, including figures, datasets, images, and videos. It is free to upload content and free to access, in adherence to the principle of open data. Atmire provides DSpace services and add-on modules. As a leading DuraSpace registered service provider, more than 130 institutions from 25 countries already relied on Atmire’s services for the installation, customization, hosting or maintenance of their DSpace repository. Atmire also offers add-on modules to extend the functionality of DSpace. There are modules for streaming documents, images or audiovisual content, but also for visualizing statistics, reports or batch editing metadata. Thomson Reuters is the world’s leading source of intelligent information for businesses and professionals. They combine industry expertise with innovative technology to deliver solutions that support the full research ecosystem to help reach your goals and broaden your impact. With curated and unbiased information, they can intelligently guide you through the research ecosystem, supporting your role within scholarly research, or publishing and analysis—from start to finish. With their tools, seamlessly search and discover, author and collaborate, publish and present, manage and evaluate. Cambridge University Press dates from 1534 and is part of the University of Cambridge. Our mission is to unlock people’s potential with the best learning and research solutions. We publish a wide range of books and journals which can be found on our website: www.cambridge.org. 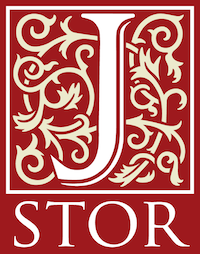 JSTOR is a growing digital library of journals, e-books, and primary sources, with more than 65 million pages of content. JSTOR offers collections of archival journals, subscriptions to current issues, e-books, and primary sources all on one easy-to-use platform. Learn more at about.jstor.org or contact us directly at particiaption@jstor.org. Dedicated to open access, Copernicus Publications publishes 38 highly reputable peer-reviewed scientific journals that are freely available online. The German company has been a partner of scientists and societies since 1988 and launched its first open-access journal in 2001. It has played a leading role in the development of Interactive Public Peer ReviewTM and is a founding member of OASPA. With a clear focus on in-house services, Copernicus promotes the work of scientists worldwide in the most personal and effective way. Innovative (www.iii.com) partners with thousands of libraries of all types to help them achieve success. Serving libraries in 66 countries, the company provides complete library automation solutions that include mobile access, digital asset management, resource sharing, discovery, and reporting tools. The company is headquartered in Emeryville, California with offices in Syracuse, NY; Blacksburg, VA; Dublin, Ireland and beyond. Hindawi Publishing Corporation is an pure open access publisher of scientific, technical, and medical (STM) journals based out of offices in London and Cairo. Founded in 1997, Hindawi currently publishes more than 400 peer-reviewed scientific journals with an annual output exceeding 22,000 articles. Hindawi’s editorial boards consist of more than 30,000 Editors from prestigious institutions in over 70 countries who help manage the editorial program. Hindawi is heavily involved with several industry organisations, participating as the current chair of the Open Access Scholarly Publishers Association (OASPA), and board members of the Publishers International Linking Association (CrossRef). Hindawi was one of the first publishers to adopt ORCID, requiring each corresponding author to have an ORCID ID and strongly recommending this for all other authors on a paper. They are also an active member of the Committee on Publication Ethics (COPE) and have built publication ethics as a central tenet of their publishing process. Adam Matthew publishes unique primary source collections from archives around the world. We collaborate with leading libraries and academics to produce powerful research and dynamic teaching collections for universities, colleges and libraries. Our award winning collections span the social sciences and humanities and cover a multitude of topics. New for 2016 titles include: World’s Fairs: A Global History of Expositions and Foreign Office Files for the Middle East. Visit www.amdigital.co.uk to request a free 30-day trial. Eduix is a privately owned company specialising in software development and management services for higher education institutions. We are the proud initiator and founding developer of the Finnish Peppi-consortium which provides a next-generation higher education software ecosystem for study and curriculum planning, resource planning and student information systems. CSC – IT Center for Science Ltd. is a non-profit, state-owned company administered by the Ministry of Education and Culture. CSC provides nationwide IT services for research, universities, libraries, archives, museums and culture as well as information, education and research management. CSC is provider of digital preservation service for National Digital Library, which aims to preserve our digital cultural heritage with memory organisations. Casalini Libri is a leading supplier of Southern European publications, e-content and integrated library solutions, offering high quality services such as: tailored new title information, approval selections, online order management, RDA cataloguing and shelf-ready processing. Our platform for e-content, www.torrossa.it, features academic e-books and e-journals from over 200 Italian and Spanish publishers. 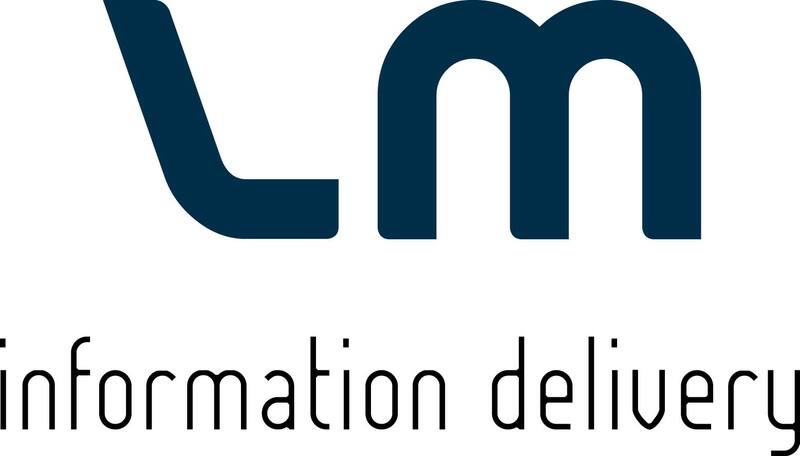 LM Information Delivery is a leading international subscription and information services provider. We provide our customers with Subscription Management Services, eResource Access and Management Services, eBook Services and Database Services. Our customers include university and research libraries, hospital and medical libraries, public libraries, governmental and non-governmental organisations and corporate information services. LapSafe® Products is the industry leading expert in managing mobile computing and powering smart technologies. We specialise in providing safe power management solutions that allow charging, synchronisation and data transfer for laptops, iPads, tablets and other such devices in volume. All of our products are fully and independently CE Certified and rigorously tested to meet or exceed required British Safety Standards and HSE guidelines. Our patented power management systems ensure user safety whilst focussing on easy device retrieval. All products are covered by an extensive warranty, making us a cut above the rest. We have over 500+ business partners within England, Scotland, Wales and Ireland who promote and sell our product range together with their own. We also have overseas partners such as The Netherlands, Iceland, Spain, France, Belgium, Sweden and the Middle East. We have also shipped products to Australia and South Africa. We manufacture our product range within the UK and support as many local businesses as possible. Our core product range is British built and conforms to British Standards. We deliver our core product range by using our own fleet of drivers so that we can ensure that our ‘end users’ receive the best attention throughout their purchase. Even though we sell through our business partners we remain the contact for service and support and again we do this to ensure our ‘end users’ get the best attention possible. As well as a comprehensive range of storage and charging trolleys we have one of the most intelligent range of storage and charging lockers available within the market today. These intelligent lockers come in three ranges, the LMS, the PIN, Nedap LoXS and CAM. Over half the UK Universities are now using the Diplomat™ LMS self-service device loan lockers manufactured by LapSafe®. These dynamic self-service, multi-bay lockers are designed to store and safely charge laptops and other similar devices. The intelligent electronic functionality of the Diplomat™ LMS can be fully integrated with most Library Management Systems allowing devices to be loaned to borrowers with no staff interaction. The Diplomat™ LMS is the first and most sophisticated intelligent smart locker system and can loan devices or locker 24 x 7 x 365. For establishments that don’t want to integrate with their Library Management System, we have launched the Solo version which allows similar functionality but without the library integration. The Diplomat™ PIN range incorporates individual locking bays with a miniPad™ fitted to each locker bay, and offers the ability to charge and store devices safely. This intelligent charging locker range offers complete keyless and cable-free access to fully charged devices. The experts in our Development Team are constantly engaged in research to further extend our range. We are also pleased to work with individual customers who require bespoke projects. Our ethos is one of innovation, quality and customer service. Visit www.lapsafe.com for more details or alternately call our sales team on 0845 230 1010. 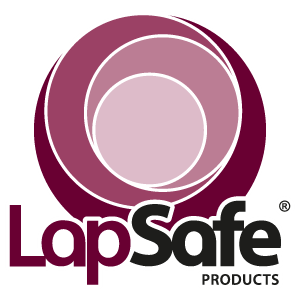 Why not follow us on twitter @lapsafe. ACCUCOMS is a global, leading provider of sales and marketing services to academic and professional publishers worldwide. ACCUCOMS has extensive expertise in global representation, telesales and business intelligence services to clients ranging from large publishing houses to specialist society publishers. ACCUCOMS is specialized in projects aimed at contacting librarians on behalf of publishers interested in boosting their sales, expanding their readership, and increasing customer retention. 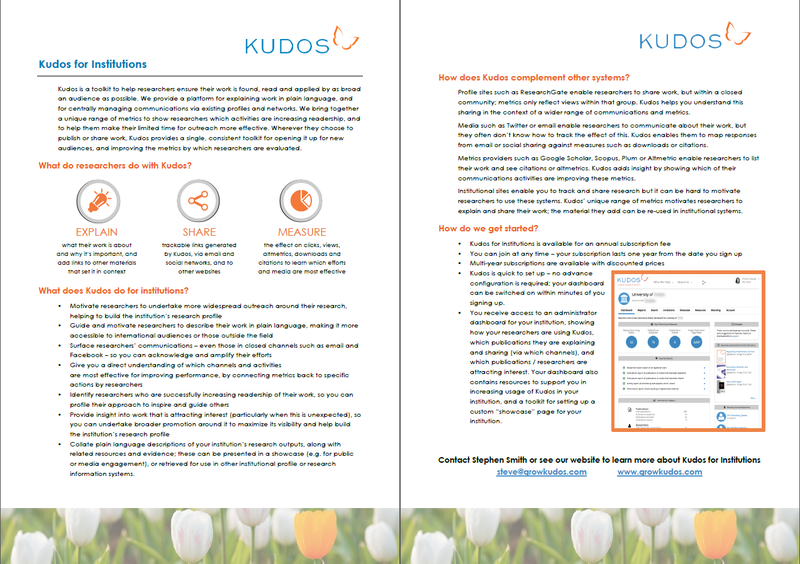 Kudos provides a free platform for researchers to manage communications around their publications – across multiple publishers and tools. They explain work in plain language and generate trackable links for sharing via email, web and social networks; these enable communications to be directly mapped against views, downloads, altmetrics and citations. Kudos thereby provides researchers, and their publishers and institutions, with a rich understanding of which channels and activities are most effective for broadening reach and impact. JoVE (Journal of Visualized Experiments) is the leading creator and publisher of video solutions that increase productivity in scientific research. JoVE has produced more than 5,000 videos demonstrating experiments from laboratories at top research institutions delivered online to millions of scientists, educators and students worldwide. JoVE institutional subscribers comprise over 900 universities, colleges, biotech and pharmaceutical companies, including such leaders as Harvard, MIT, Yale, Stanford, Princeton and Caltech. Headquartered in Cambridge, Massachusetts, JoVE maintains offices throughout the United States, Europe, Asia and Australia. Emerald manages a range of digital products, a portfolio of over 300 journals, more than 2,500 books and nearly 500 teaching cases. More than 3,000 Emerald articles are downloaded every hour of every day. The network of contributors includes over 100,000 advisers, authors and editors. 95 of the 2016 FT top 100 business schools worldwide are Emerald customers. The IET is Europe’s leading publisher of world-class digital/print engineering & technology content. The wide-ranging portfolio comprises subscription and OA journals, 450+ eBooks, IET Inspec, and IET.tv, the world’s largest online archive of video content. River Publishers is active in several STM fields, such as Electrical Engineering, Computer Science, Materials Science, Optics and Photonics, Biomedical Engineering, Nano Science and Science Education, and we publish peer reviewed research books and journals in these areas. River Publishers works with internationally established authors and editors to ensure high quality publications. This is reflected in the fact that all our books published after 2010 are indexed in the Thomson Reuters Book Citation Index.